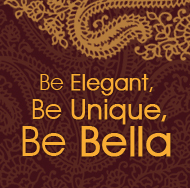 Description: Elegance never looked so good! 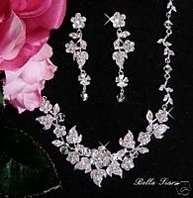 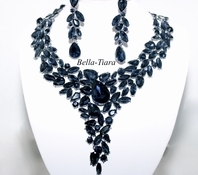 �This picture perfect rhinestone necklace set is absolutely fabulous, beautiful European style tear drop design. 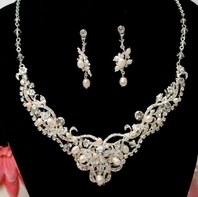 100% nickel-free silver plating. 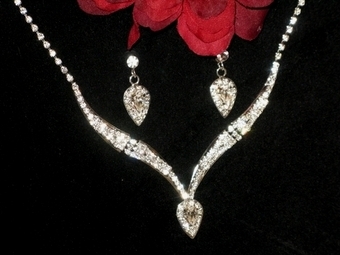 Measures approx 14-16" in length (extender chain attached), earrings slightly over 1". 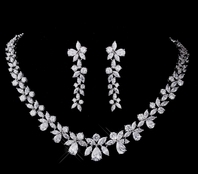 lovely gift box included.